Last week I facilitated a tutorial and delivered a new keynote to over 800 people at the STAREAST conference in Orlando. It had been a while since our family had visited Florida so I had the opportunity to bring my wife and three children along, which was great! Between speaking engagements we had the opportunity to spend time at Disney and if you've spent any time at a Disney park, chances are customer service and quality come to mind. People at Disney know how to be great on the job. They are patient with demanding customers and seemingly cool under the heat of the Florida sun. What does it take to be great on the job? As it turns out, there's a book by that name out this week by Jodi Glickman. I had the opportunity to catch up with Jodi recently and look forward to sharing that interview about her book with you this week. 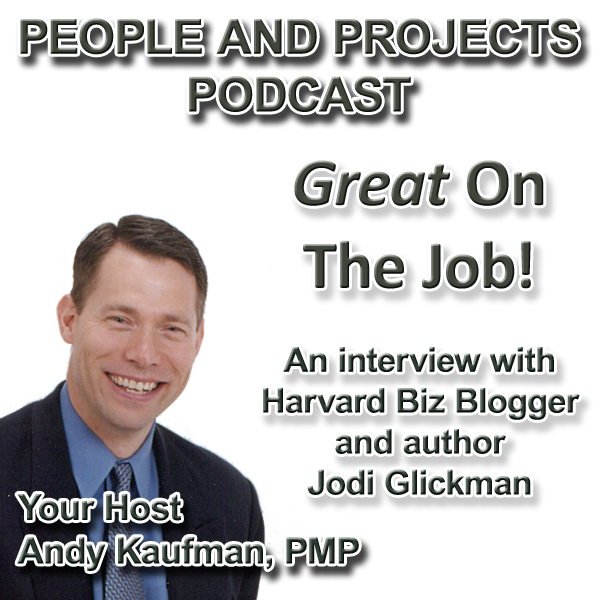 Learn more about Jodi's organization at http://greatonthejob.com. You can also find her HBR posts at http://blogs.hbr.org/glickman.